​A huge explosion at a chemical plant in eastern China has killed 78, making it one of the country's worst industrial accidents in recent years. 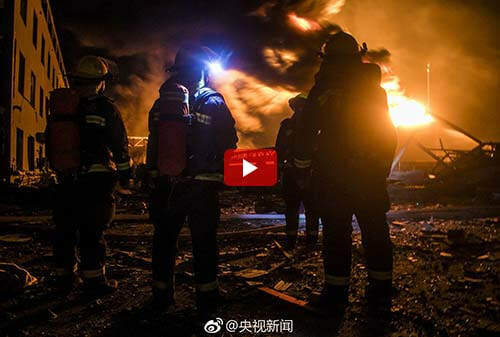 More than 600 people are receiving medical treatment following the blast on Thursday, 21 March 2019, at the industrial park in Yancheng, said the city government on its official Twitter-like Weibo account. Among them, at least 90 are seriously injured. City officials had initially said that at least 12 people were killed and 30 injured in the explosion in Jiangsu province. The explosion was so powerful that it apparently triggered a small earthquake, knocked down several factory buildings and shattered the windows of homes a few kilometres away. "We knew we'd be blown up one day," said a local resident, adding she had concerns about safety and pollution at the site for a long time. Hundreds of rescuers have been dispatched to the scene, local authorities said, and more than 3 000 people have been evacuated from the blast site. The blaze from the explosion has been extinguished, said local officials, after fire fighters battled raging flames through the night. Three chemical tanks and five other areas had been on fire. Authorities, who are investigating the cause of the incident, said an unspecified number of people were taken into police custody. 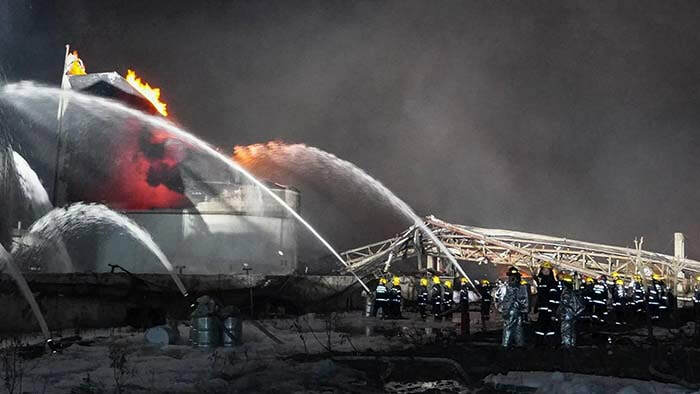 The chemical facility involved in the explosion belonged to Tianjiayi Chemical, a firm with 195 employees established in 2007. An aerial view of the blast area showed a large swath of destruction in the industrial park, where multiple fires had initially raged. Workers covered in blood were seen running out of the factory, said official news agency Xinhua. 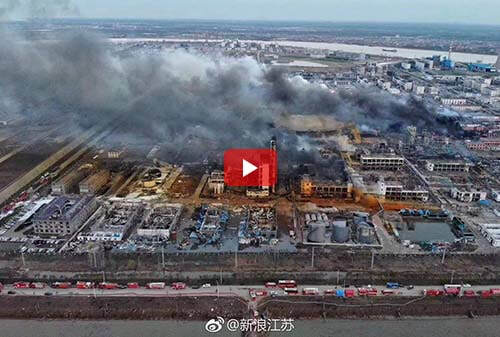 According to local officials, the Jiangsu-based company mainly produced raw chemical materials, including anisole, a highly flammable compound. The force of the explosion blew out windows and dented metal garage doors of buildings as far as 4km from the site, said reporters at the scene. Deadly industrial accidents are common in China, where safety regulations are often poorly enforced. In November, a gas leak at a plant in the northern Chinese city of Zhangjiakou that will host the 2022 Winter Olympics killed 24 people and injured 21 others. 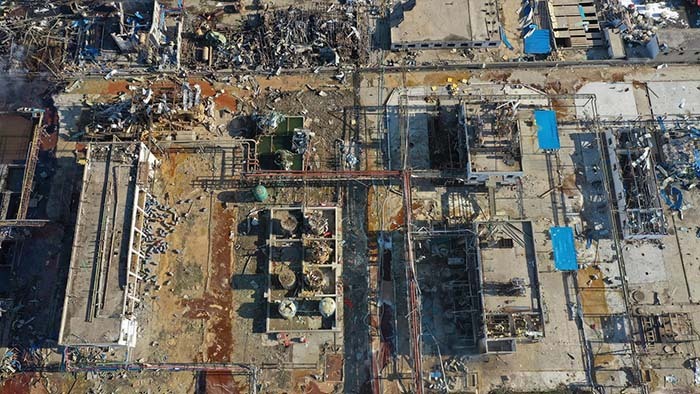 A report published by local authorities last month revealed that the Chinese chemical firm responsible for the accident had concealed information and misled investigators. 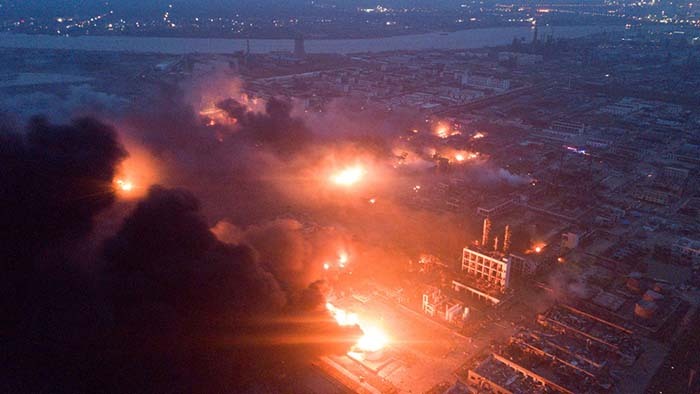 In 2015, China saw one of its worst industrial accidents when giant chemical blasts in the northern port city of Tianjin killed at least 165 people. The explosions caused more than $1bn in damage and sparked widespread anger at a perceived lack of transparency over the accident's causes and its environmental impact. 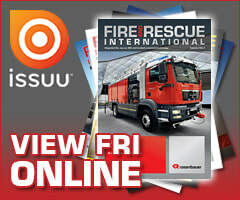 FRI Media (Pty) Ltd is an independent publisher of technical magazines including the well-read and respected Fire and Rescue International, its weekly FRI Newsletter and the Disaster Management Journal. 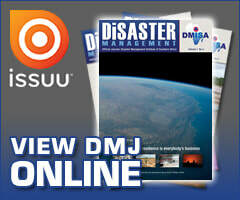 We also offer a complete marketing and publishing package, which include design, printing and corporate wear and gifts. © Copyright 2018 Fire and Rescue International. All Rights Reserved.